President of the Republic of Estonia Toomas Hendrik Ilves was born on the 26th of December, 1953, in the Swedish capital Stockholm, and has spent much of his life living and working in a total of five different countries. The Estonian values prevalent in his childhood home, the education gained at one of the US's best universities, the jobs connected with Estonia's present and future over the last quarter of the century – this is what has shaped Toomas Hendrik Ilves as a person and president of a small European country in the 21st century. He acquired his education in the United States – he graduated from Columbia University in New York City in 1976 and received his Master's degree in Psychology from the University of Pennsylvania in 1978. 1984 he moved to Europe, to work at the office of Radio Free Europe in Munich, Germany, first as a researcher and foreign policy analyst and later as the Head of the Estonian Desk. From 1993 to 1996 Toomas Hendrik Ilves served in Washington as the Ambassador of the Republic of Estonia to the United States of America. During this time he initiated with education minister Jaak Aaviksoo the Tiger Leap initiative to computerize and connect all Estonian schools online. From 1996 to 1998, he was Minister of Foreign Affairs. After a brief period as Chairman of the North Atlantic Institute in 1998, he was again appointed Minister of Foreign Affairs, serving until 2002. From 2002 to 2004, Mr. Ilves was a Member of the Estonian Parliament; in 2004 he was elected a Member of the European Parliament, where he was vice-president of the Foreign Affairs Committee. As a MEP, he initiated the Baltic Sea Strategy that later was implemented as official regional policy of the European Union. Toomas Hendrik Ilves was elected President of the Republic of Estonia in 2006. Ilves was re-elected for a second term in office in 2011. During his presidency Toomas Hendrik Ilves has been appointed to serve in several high positions in the field of ICT in the European Union. He served as Chairman of the EU Task Force on eHealth from 2011 to 2012, and since November 2012, at the invitation of the European Commission, he became Chairman of the European Cloud Partnership Steering Board. His interest in computers stems from an early age – he learned to program at the age of 13, and he has been promoting Estonia's IT-development since the country restored its independence. During recent years, president Ilves has spoken and written extensively at international forums on European integration, trans-atlantic relations, e-government, cyber security and other related topics. President Ilves has published many essays and articles in Estonian and English on numerous topics ranging from Estonian language, history and literature to global foreign and security policy. His books include essay collections in Estonian, Finnish, Latvian and Hungarian. 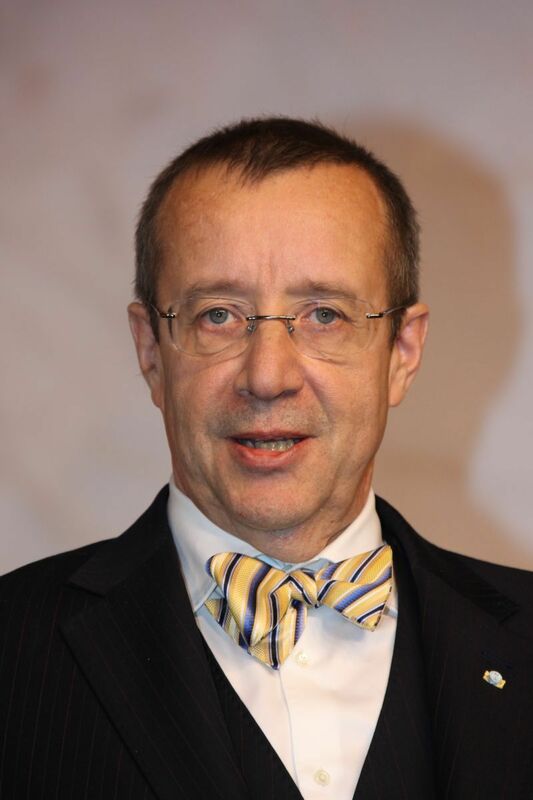 Toomas Hendrik Ilves is married to Evelin Ilves and has three children, a son Luukas Kristjan (1987) and daughters Juulia (1992) and Kadri Keiu (2003). Compilation of speeches and writings from 1986-2006: "Eesti jõudmine. Kõned ja kirjutised aastaist 1986-2006" ("Estonia's growth. Speeches and publications from 1986-2006"). Varrak, 2006 Tallinn. Articles in Estonian and other newspapers and magazines. Honorary Member of the Latvian Students Society "Austrums"